Call processing equipment includes automated call handling systems and software and are provided by Database Systems Corp. (DSC). DSC is a leading provider of call processing solutions that include the design, development and implementation of call applications. DSC provides the necessary call processing systems and can create simple to complex call handling programs for your organization. 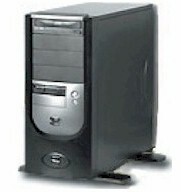 Database Systems Corp. (DSC) phone systems incorporate the latest technologies from Intel and Microsoft Corporation. The computer telephony boards that control the calling process are provided by Dialogic. Outbound phone campaigns include voice broadcasting hundreds to thousands of calls at once. Likewise, our phone systems are capable of managing different agent based calling campaigns including predictive dialing. DSC's emergency technology is ideally suited for community notification and alert programs as well as for commercial applications. Commercial messages can be sent to call recipients in bulk. Likewise alerts and warnings can be delivered to community members in the event of an emergency. Contact DSC to learn more about our comprehensive call processing systems and technology. The following are several user guides that document the DSC IVR software routines and the installation process associated with the DSC WIZARD phone systems. Also included is a user guide that presents information about the operation and management of a DSC voice broadcasting system. IVR Software Manual - Interactive Voice Response user guide and API manual. Voice Broadcast Installation Guide - This guide is a step by step process for installing a WIZARD phone system. Voice Broadcasting User Guide - An operational guide to running a voice broadcasting campaign. If your call processing requirement is small or requires just a few phone lines, the WIZARD analog phone system can fulfill your needs. This economical system is capable of performing virtually any type of inbound and outbound phone campaign. Automatic call answering is managed by our IVR software that processes inbound phone calls without the need for an operator. The WIZARD systems incorporate voice broadcast technology that is used to send bulk phone messages. This feature can be used for both commercial and public service notification purposes. For larger call handling centers, DSC provides digital T1 phone systems capable of automatically answering phone calls while concurrently processing automated dialing phone campaigns. 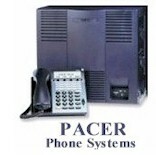 The PACER digital phone system supports digital phone lines and is capable of handling up to 480 calls at once. Each PACER system can simultaneously process hundreds of calls over digital phone lines. These PACER systems can be networked together to support call processing environments handling thousands of concurrent phone calls. Our voice broadcasting systems can deliver recorded phone message to hundreds or thousands of call recipients at once. This auto dialer technology can be used to contact commercial customers or can be employed in emergency situations to contact members of a community. Voice broadcast phone messages can be delivered to both answering machines and to individuals. If our message broadcasting system detects a no answer condition or busy signal, the message can be scheduled for delivery at a later time. A comprehensive set of call reports are available to confirm the effective delivery of these phone messages. DSC has developed an award winning call processing phone system which includes inbound call handling features that utilize our interactive voice response (IVR) software. Our IVR phone system is comprised of a modern industrial quality PC with computer telephony cards from Intel / Dialogic. When combined with our full-featured IVR software, these phone systems can perform virtually any type of inbound call processing campaign. OUR WIZARD and PACER phone systems support both analog and digital phone lines yet share the same IVR software libraries. Thus your investment in the development of your inbound calling campaigns can be preserved if you need to upgrade your phone system. Contact DSC to learn more about our call processing equipment and phone systems.